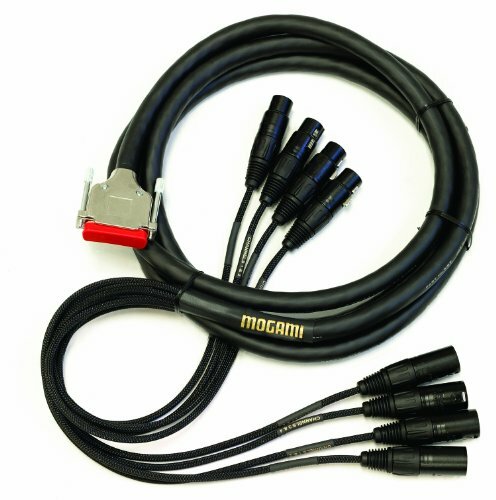 All of MOGAMI digital audio cables are designed with flexibility and handy configuration. Many variations are available from regular application type up to long distance application types, from single core up to 12-core types, internal wiring type, and interconnect application types. Strict tolerance control of impedance within ±5% up to ±10% at the maximum. • Precision dielectrics for loss-free transmission in lengths up to 470 ft.
Mogami Platinum, Gold and Silver Cables are trusted by music professionals worldwide. Mogami is the most respected cable for electric guitar, acoustic guitar, bass guitar and cable for Keyboards and Pedals. Mogami also makes microphone cables for live stage performances and studio recordings as well as cables for powered speakers, DJ equipment, Headphones and iPod/MP3 players. Mogami bulk cable, patch cable, recording interface and fan-out snake cables are used in the finest analog/digital studios, recording equipment, and patch bays.